So I have all of this cheese. Anyway, I have all of this glorious homemade cheese, and because it’s not considered “proper” to sit in front of the refrigerator with a spoon, I had to find something to do with it. First, I simply slathered some on some toasted bread with a little kosher salt, then drizzled it with honey. K said I reinvented the pizza. I think it was a compliment. Other than that, pasta was the natural choice, because pasta is always the natural choice. You could stop with just the Parmesan cheese if you wanted to. That’s a perfectly respectable pasta dish. But that would be a mistake! Remember the cheese that you made from scratch the day before? The one that convinced you that your calling is to move to Vermont and start a dairy farm and cheese business? REMEMBER? Yeah. Dollop some of that right on top. 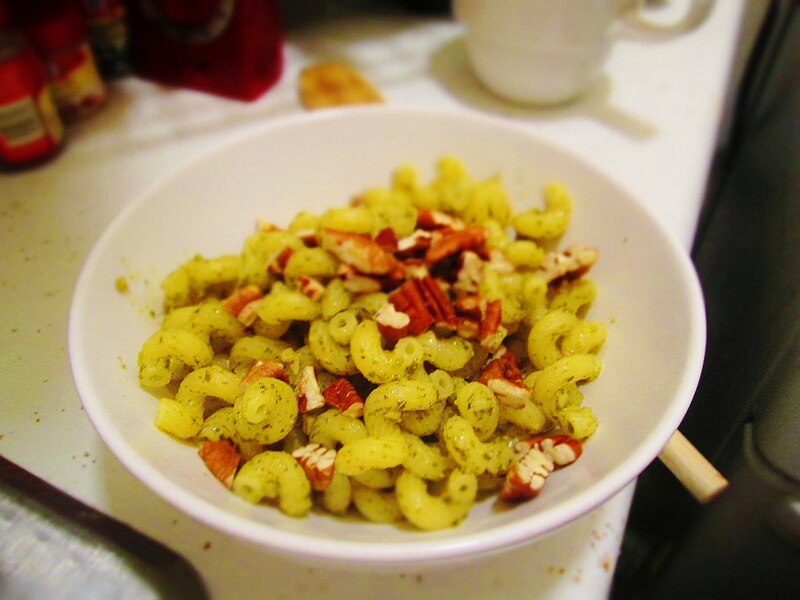 The toasted pecans bring out the nutty flavor of the pesto and give the dish a needed crunchy texture. Each time I got a pecan I was pleasantly surprised with the little bite it added. 2. Bounce around telling everyone that you made cheese. 3. 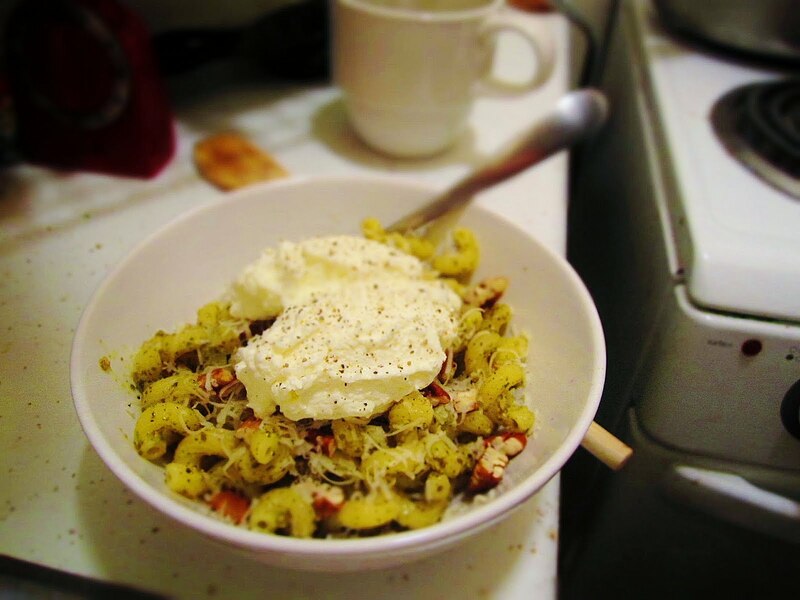 Make a pesto pasta with toasted pecans and dollop some of that cheese on top. 1 box of cavatappi pasta, which looks like spiral macaroni. 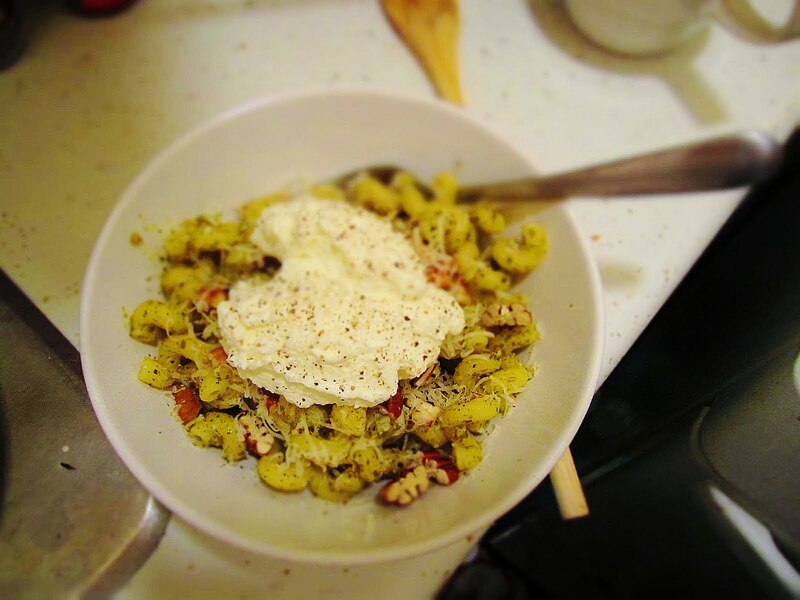 You can use any short, grooved pasta. You just want to make sure it catches the pesto. A dollop of homemade ricotta cheese. I used a lot, but I’ll leave this up to your discretion. Bring a large pot of salted water to a boil. Add the pasta, stir once, then cook according to package directions to al dente. Drain and set aside. 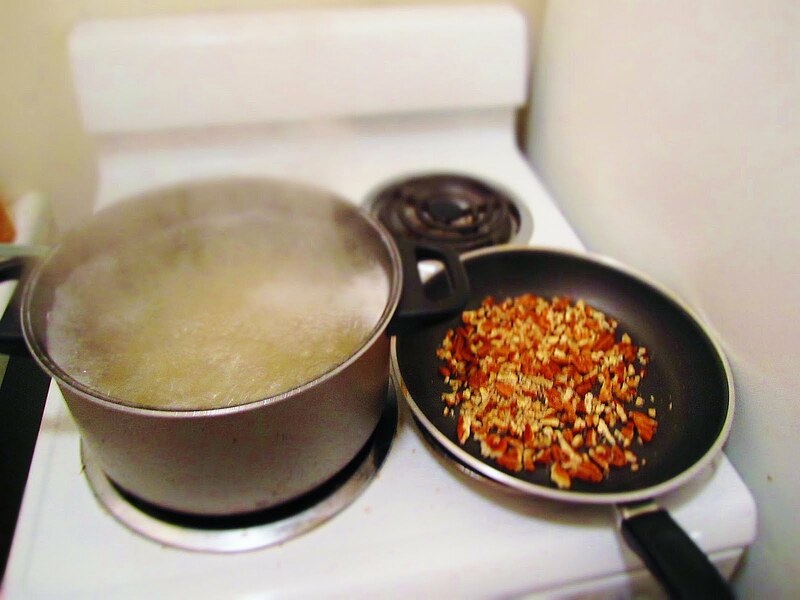 While the pasta is cooking, add the chopped pecans to a dry skillet. Turn the heat to medium and toast the pecans, moving them around occasionally, for about 8 minutes, or until you start to smell them. When done, remove from the heat and set aside. 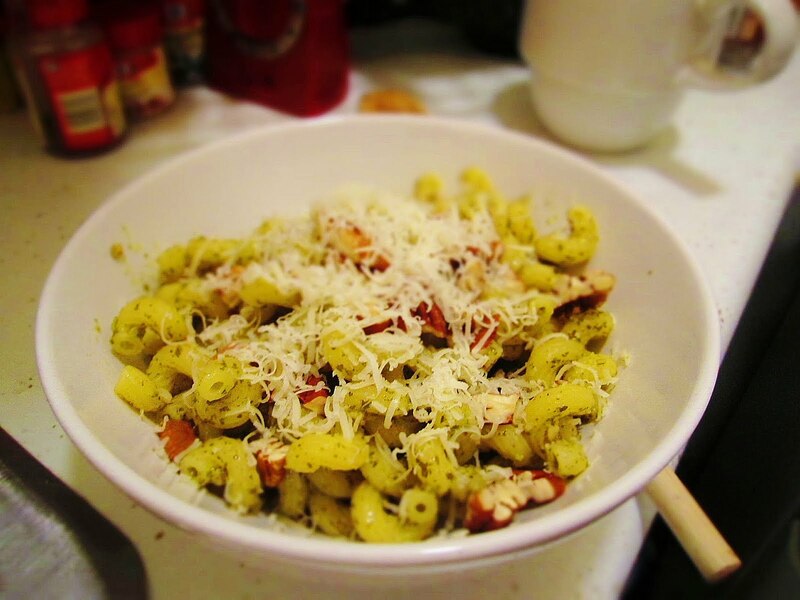 When the pasta is finished cooking and drained, return it to the pot and add the pesto. Stir to combine. 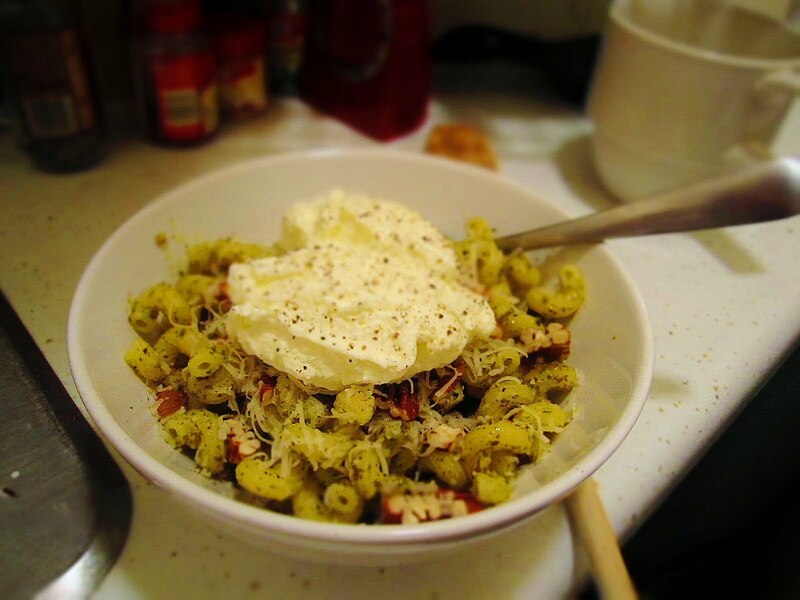 Serve in a bowl with chopped pecans on top, and a little grated Parmesan. 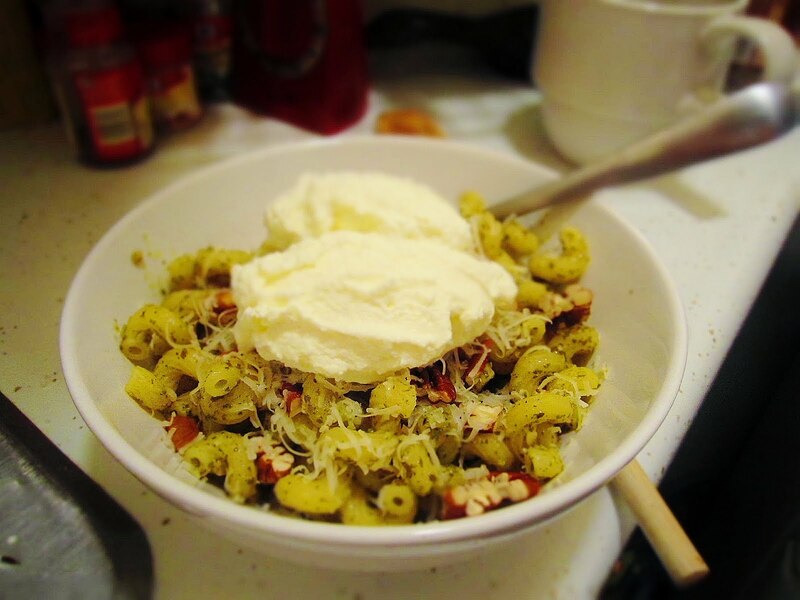 Add a dollop of homemade ricotta cheese right on top. Season with salt and pepper if needed. In the words of RR… YUM-O! :o) great blog! Or- take some summer berries and macerate in a teeny bit of grand marnier and then top with ricotta. Or Bobby Flay's lemon ricotta pancakes. I told my son about making home made ricotta and we are going to do it soon.